We have provided a broad range of environmental planning advice to public and private clients â€“ especially in the area of Landscape and Visual Impact Assessment. We have provided LVA reports for more than a dozen solar farms - ranging in size from 6 hectares to over 50 hectares. As well as visual impact assessment reports for these projects we have also produced arboricultural impact assessments, landscape and ecological mitigation plans (LEMPs), detailed documentation for landscape mitigation works and also contract management for landscape related works. We have also undertaken LVIA reports for wind turbines and a biomass plant at Ely. The latter plant was located close to Ely Cathedral and had fuel storage silo's that were nearly 50 metres tall. However, our work successfully demonstrated that the plant would not have a detrimental visual impact on the cathedral and it was granted planning consent. We have undertaken LVA and mitigation planning work on a range of other often contentious projects including chicken farms, industrial buildings, a waste transfer station, a new cinema and retail park at Ely, other commercial and retail developments, stud farm development and a range of different residential projects. We can provide high quality photomontage images and verified views. We have found verified views are often requested for large development in urban settings. We can also produce computer generated Zone of Theoretical Visibility Plans (ZTVs) which can be very useful to assess the zone of influence for tall structures in topographically variable terrain. 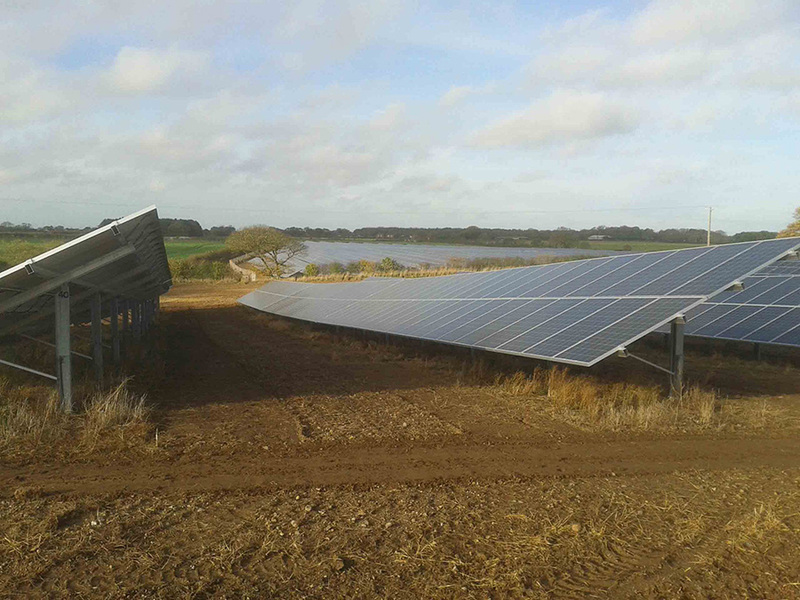 As well as working on the planning applications for solar projects, we have also undertaken detailed design and contract administration for landscape mitigation works â€“ such as at this site in Norfolk.